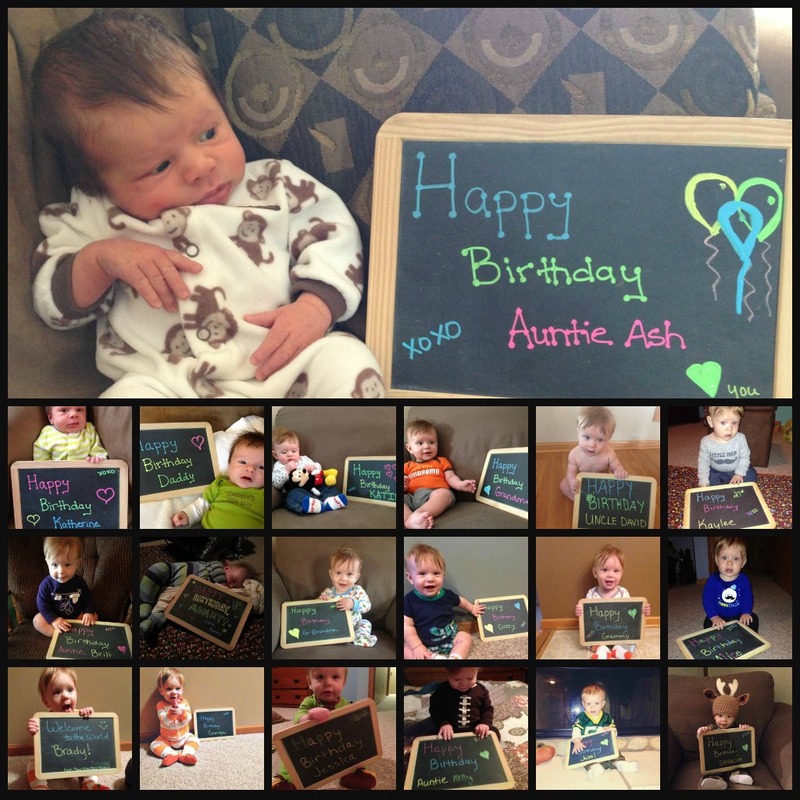 For the last 10ish months, I have provided sweet birthday and well wishes to loved ones via a little chalkboard that I searched high and low for during pregnancy. I knew I wanted something cute to document my weekly pictures and decided after I was done with it, the birthday messages would be sort of fun. Who doesn’t love a sweet message from a cute baby? While I’ve missed some birthdays and special events along the way, I tried to capture as many as I could. Late last week, I took my final picture with the chalkboard, though at the time I didn’t know it would be my last picture. While my sweet old lady grandma is in the hospital, I wanted to send her a well wish to lift her spirits. She has been there for quite some time and it’s hard to say what will happen next. Many people know how much my grandma means to me and since I can’t see her, the least I could do was to send her a smile. 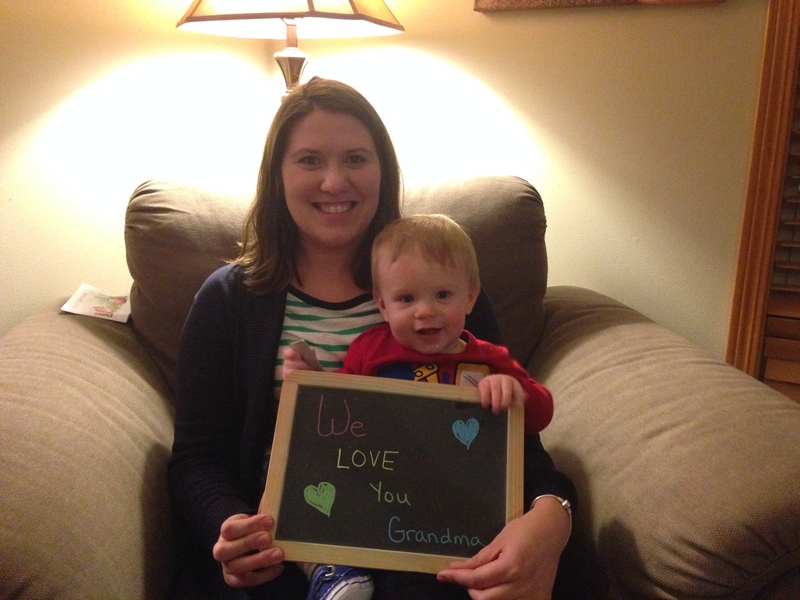 After our picture, Henry stood up on my lap and proceeded to kick the chalkboard to the floor. Later we realized the fall from the couch to the floor caused a huge crack in the board. Ben and I both looked at one another and knew that was a sign for the chalkboard to officially be retired. For months I’ve used one side as the other has a sweet message Katherine wrote Henry months ago. Now, both will sides will have a sweet message that I will cherish. Don’t be offended if you don’t get a chalkboard sign message. The trend was bound to stop at some point.